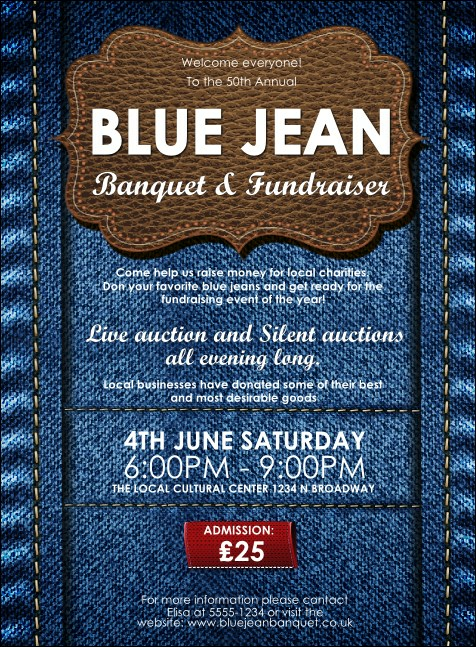 Invite fans of boot cut, skinny, and straight leg with the fun Blue Jeans Invitation. This casual template has a rich denim detail in the back, with a brown leather accent and easy white text. Accessorize with coordinating tickets, posters, and flyers in a Matching Event Kit. RSVP in style with UK Ticket Printing.